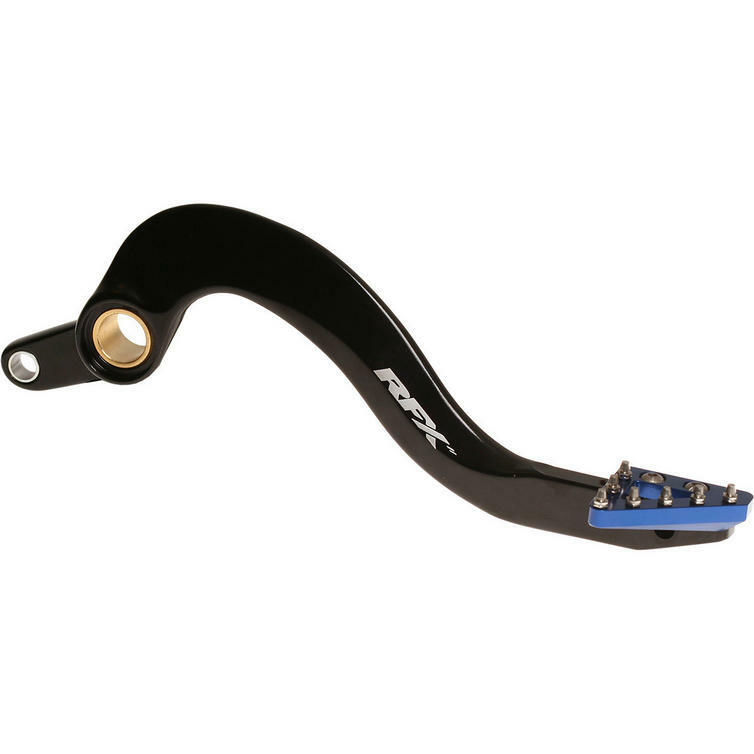 The RFX Pro Series Rear Brake Lever (Solid Tip) - Hard Anodised is part of the latest RFX collection. 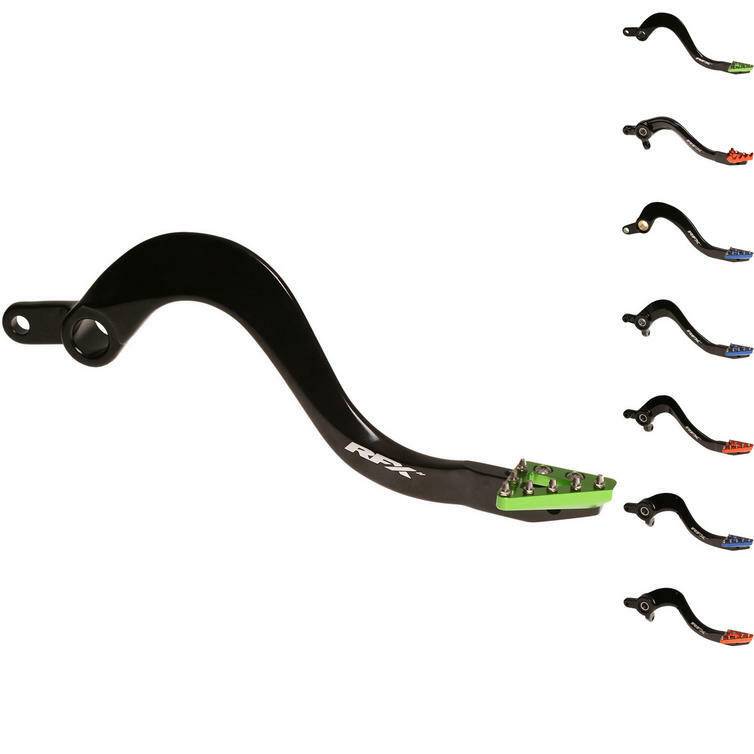 The RFX Pro Series Rear Brake Levers are manufactured from 7075-T6 aluminium and feature an OEM type forged shaft, a smooth finish on the shaft helps to reduce the wear associated with a ridged design. They are CNC machined billet aluminium and feature a spring loaded rotatable tip which under impact such as in a rut will spin to reduce damage. 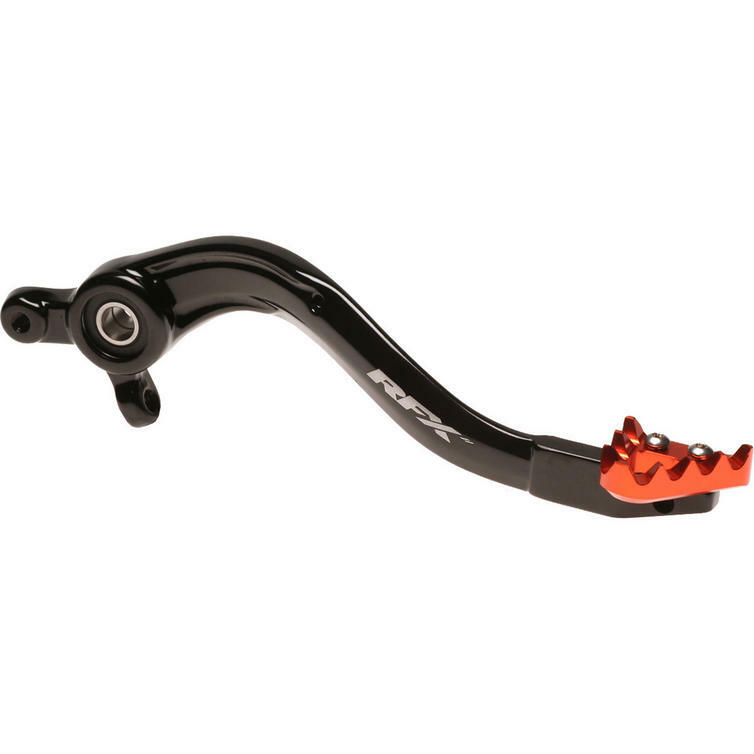 The tip also features steel teeth to help grip in muddy conditions. 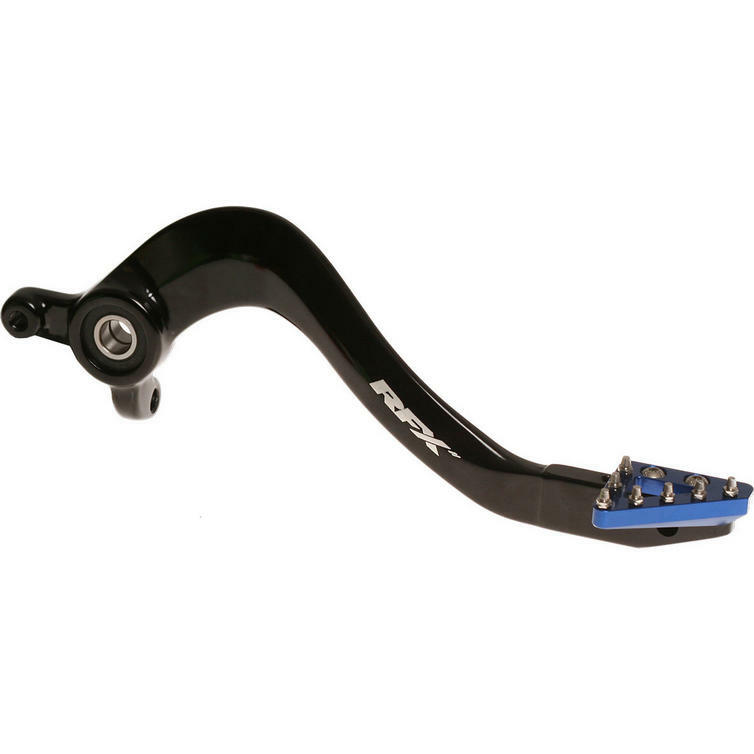 The RFX Pro Series Rear Brake Levers also incorporate a stop on the pivot tip, this stops the tip at 90 degrees of rotation preventing damage that can occur if the tip rotates under the clutch cover. 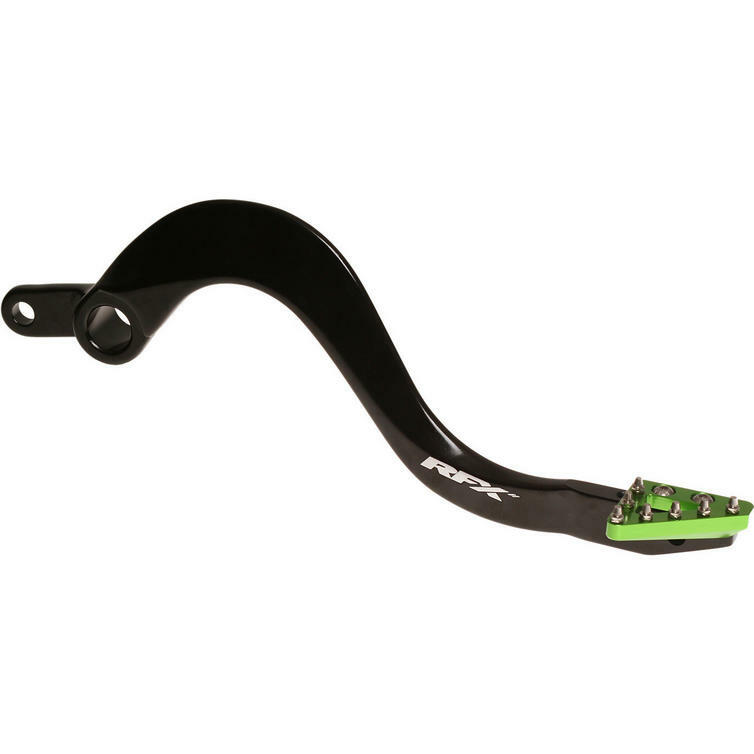 They also incorporate a cable brake snake, this helps prevent the pedal shaft being bent around in a collision.